Sir Mel and BCL have no Balls! Bougainville charity donation’s valour stolen by Sir Mel Togolo and Bougainville Copper Limited in front of 100’s of school children. 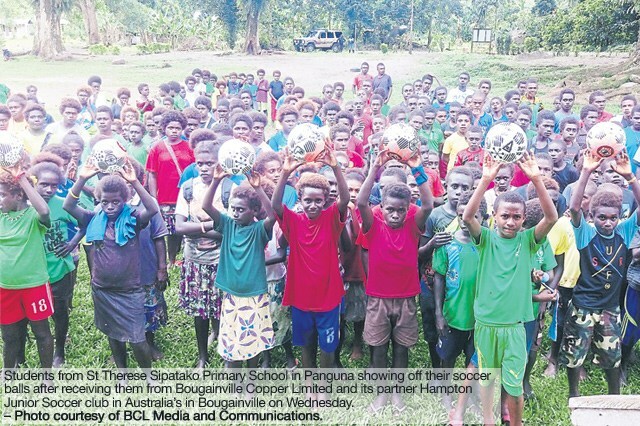 It was widely reported in the PNG Press that BCL gave 40 soccer balls to school children in Arawa during the recent visit last Friday by the Papua New Guinea Prime Minister as part of the visit. Sir Mel further went on after handing the balls over to the kids. “BCL chairman Mel Togolo said the company had a proud tradition of providing community support in Bougainville and it was keen for this to continue. “We are a company that is committed to making a positive difference in the lives of Bougainvilleans,” he said. However, the charity behind the gift, PARK Social Soccer Co., of the 40 footballs says BCL had no role to play in their purchase. “The balls were not purchased by BCL, they distributed them to the communities. “We are a social enterprise and make the balls. For every ball sold we pass another ball to kids in need”. “We partnered with Hampton Soccer Club in Melbourne, they bought balls for their club, and we passed an equal amount to PNG. PARK paid for the shipping to PNG”. It would also be nice if Sir Mel came clean and apologised for stealing the valour of PARK Social Soccer Co and claiming that BCL was responsible for the donation when it wasn’t involved at all. 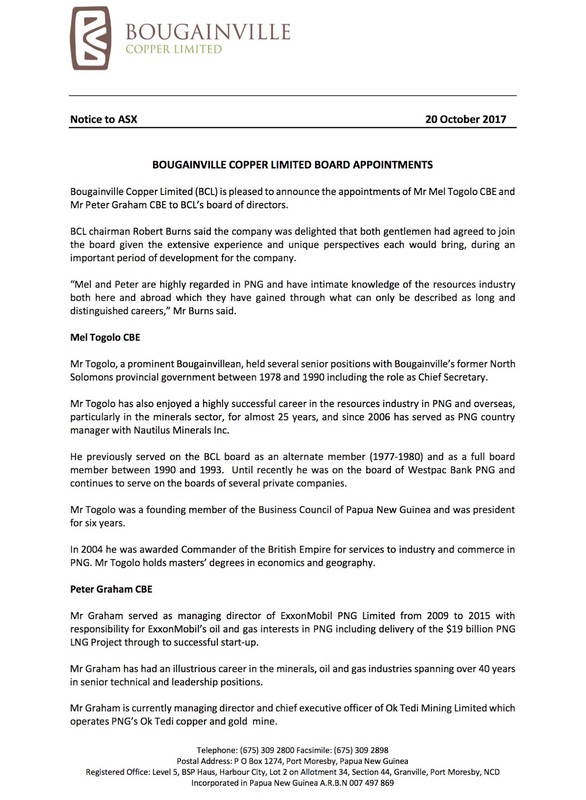 Bougainville Copper Limited (BCL) chairman, Mel Togolo, says the company aims to work positively and constructively with both the PNG and Autonomous Bougainville Government (ABG). He also said the company wishes to create goodwill among communities as they plan to redevelop Panguna Mine. Togolo said this following the company’s Annual General Meeting on Thursday. Togolo said it was important to note that BCL was a PNG company with both the PNG and ABG governments as major shareholders. “The National Government and the Autonomous Bougainville Government have 36.4 percent each. They own the company because they have significant interest in the company on behalf of their respective people,” said Togolo. Given their majority shareholding, it was important that positive and constructive relationship was in place. With the referendum approaching, Togolo says that is a political process they will not be involved in. But they encouraged both governments to work together during the process. In the race to reopen the Panguna mine, against the will of landowners, BCL is now appointing a war cabinet. 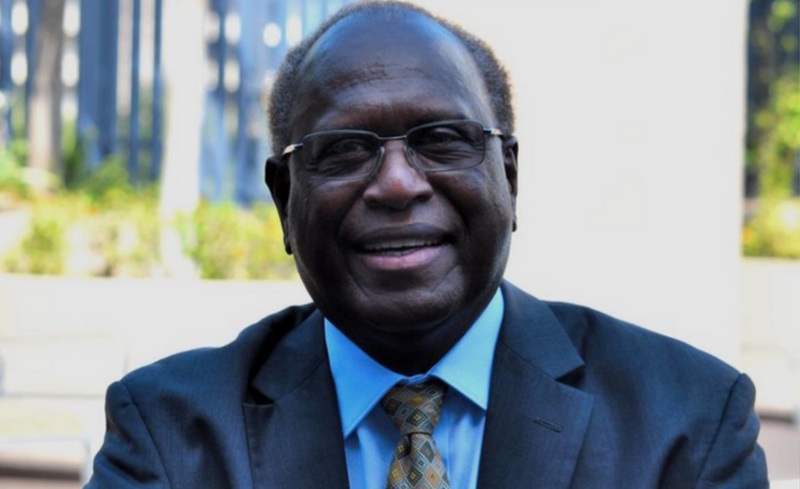 Having already appointed Director, ‘Sir’ Rabbie Namaliu, a man who was Prime Minister when his government’s security forces committed crimes against humanity on Bougainville, BCL has now appointed two new Directors, Mel Togolo and Peter Graham. Togolo was a provincial administrator during the crisis. He was infamous for his support for an Australian backed military blockade, that denied his own compatriots basic medicines. Togolo also worked alongside Jim Griffin an Australian government spook, responsible for intelligence analysis on Bougainville. More recently Togolo has become known for his role in deep sea mining, which threatens to inflict another environmental catastrophe on the region. 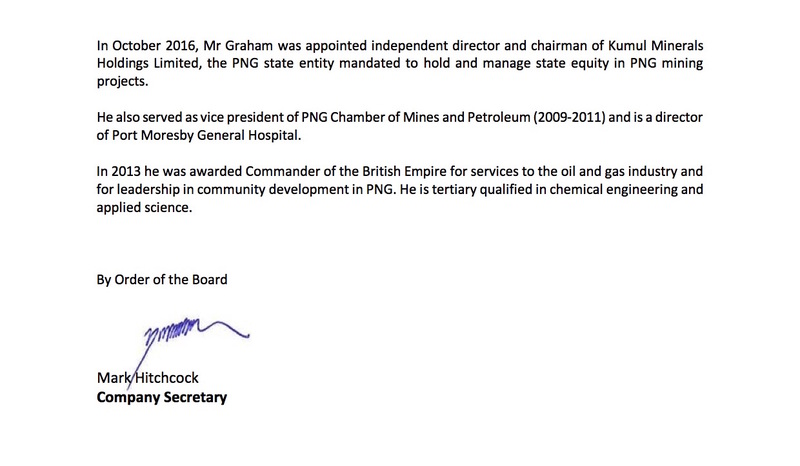 Peter Graham is the General behind ExxonMobil’s PNG LNG operation, a project that gives new meaning to pipe dreams. More recently he has acted as O’Neill’s right hand man at Ok Tedi. Nautilus Minerals holds many tenement applications in Papua New Guinea and intends to have operations in the country so long as there are minerals to produce, country manager Mel Togolo said. He said the Canadian company would keep operating depending on the level of minerals. “The vessel remains on the critical path for the company. “We intend to secure the arrangements for a vessel by early November following which we will have a clearer understanding of when operations will commence,” he said. Thinking about the Bulolo Gold and Laloki Copper mines, copra and timber extraction, in fact, as a country we can say that Papua New Guinea has had more than 100 years experience of extractive industry business. And yet, it seems, we have yet to learn anything from these many many years of experience to correct the racially biased anomalies in the country’s laws so that the country and the people can rightly and equitably benefit from the resources we own. Instead we continue to allow these corporations, companies, businesses, and individuals like Mel Togolo, to treat us with contempt! Many places in so called developed countries such as the “One Square Mile” of London, UK, according to history, have been built and selfishly prosper to this day from the proceeds of these extractions and their people benefit in perpetuity. While we continue to complain about the crumbs that fall under the table and are dished out to us telling us, this is it, it is law, and you have no choice but accept. Unbelievably, we continue to accept it as God given “holy bread” of Holy Scriptures that has been spoken and written in the Bible hence, beyond humankind, that we cannot even change the laws to justly benefit from what is rightly ours. Sadly, we still stand before God, our Creator, discriminated against. 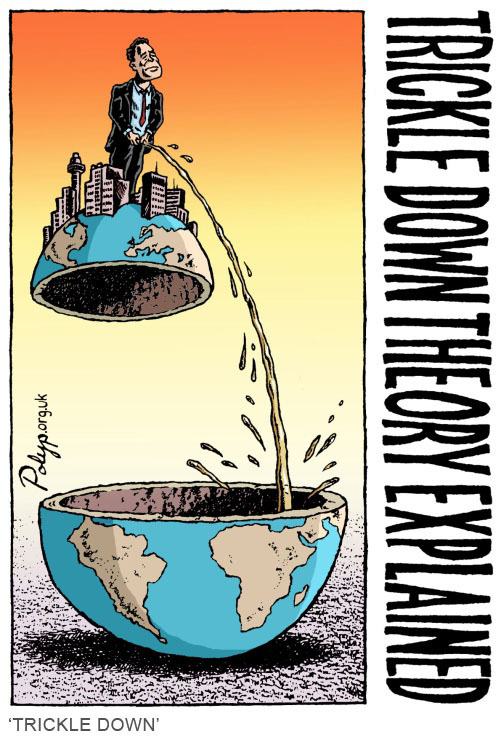 Our fore fathers must have got it all wrong in the writing of our constitution that we are unable to make the necessary changes to realize the desired improvements in law for us to truly benefit from the rich endowments of our natural resources in this fast changing world? Or, are we a nation of people with no intelligence and no sense of reason, pride and dignity, and any sense of humane thoughts and feelings, to even listen to the cries of the people for a fair share of the cake? For how long do we have to allow ourselves to be treated with contempt? God help Papua New Guinea?! Controversial Canadian mining company Nautilus minerals will pay a miserly 0.15% of its revenues into a fund for mine affected communes. The announcement [see below] was made by Nautilus country manager Mel Togolo. He says the company will pay upto K4 million a year into a community development scheme. But Nautilus expects its revenue from the Solwara 1 mine to be over US$1 billion a year – or K2,700 million at current exchange rates. Nautilus says it plans to produce around 80,000 tonnes of copper and 150,000-200,000 ounces of gold each year which will generate revenues of around US$275 million for the gold and US$783 million for the copper – $1.058 billion in total. The announcement that communities will receive just 0.15% of revenues has further angered landowners already upset by Togolo’s claims that the mines opponents are all urban based and that the mine affected community support the mining plans. Togolo’s announcement of the tiny amount of funding will also reinforce support for law changes advocated by New Ireland governor Julius Chan. Chan has put forward amendments to the Mining Act which would recognize and protect the mineral rights of landowners and ensure a much more equitable distribution of revenues. Nautilus’s move will also strengthen the resolve of politicians in both New Ireland and East New Britain to push the national government on greater autonomy for the regions. In March, the autonomy committee of the two provinces set a deadline of June 30 for the National government to respond to their demands for greater self-reliance and self-determination as provided for in the Constitution. NAUTILUS Minerals is looking at establishing a community development scheme which is set to benefit those from the mine impact communities it will be operating in. This was revealed by Nautilus country manager Mel Togolo last Friday during a project update meeting. Mr Togolo said this to be an initiative the company had resolved to pursue. He said the scheme would be voluntary and its aim would be to contribute to community projects with focus on water and sanitation in East New Britain and New Ireland, where it will soon be opening an office. He said the company will, for every ore that it lifts, inject into a fund K2 adding this is set to grow and on a yearly basis bring in a yield of approximately K4 million. He said the fund would be managed by an independent board. “There will be a company representative on the board but the majority sitting on it will be independent and eminent Papua New Guineans who will decide on how the funds will be spent,” he said. Mr Togolo said for the creation of the projects, the company would be working in consultation with authorities at the provincial and local level government. He added they would be looking at engaging local expertise in delivering these community projects. The company is also looking at assisting with infrastructure projects along the West Coast of New Ireland. Nautilus Minerals, has been eyeing the seabed minerals off Papua New Guinea (PNG) since the 1990s but then became locked in a lengthy dispute with the PNG government over the terms of the operation. With the current agreement with the State government, Nautilus’s country manager in PNG, Mel Togolo says that the company’s highly controversial Solwara 1 project is gaining momentum. However, as with all mining operations, deep sea mining raises questions about potential environmental impact on surrounding areas. 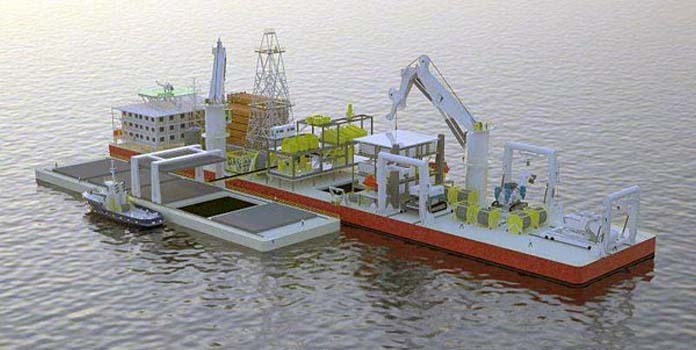 Environmental advocacy groups such as Greenpeace have argued that seabed mining should not be permitted in most of the world’s oceans because of the potential for damage to deep sea ecosystems. There has also been widespread campaign against the undersea mining in PNG. Mr Togolo however says that all this criticisms are urban based and that those in the villages invite Nautilus Minerals. The question however remains. Do those in the villages been educated enough to make informed decisions about both the positive and negative impacts of undersea mining? Mr Togolo told PNG Loop that Nautilus has been using basic educational materials like pamphlets and role plays to educate the people in the project area. Are these methods effective enough and if they do, what are the guarantees that the rural mass understand the highly complex scientific nature of undersea mining; is yet another mystery Nautilus has to justify. However convincing Togolo may have sound to other media personals present, he later admitted to PNG Loop that the science of underwater mining remains very complex. When pressed by PNG Loop to comment on the status of the independent research and the credibility of the researchers involved, Mr Togolo replied that Nautilus engages consultants as well as government researchers. He decline to comment on the credibility of the researchers involved that again casts a shadow of doubt over Nautilus Mineral’s highly controversial operation, the Solwara 1 project.